A group of talented world-renowned artists from London took over 200 measurements of Virat Kohli to create an authentic figure. Indian captain, Virat Kohli's wax figure will be the latest addition at the Madame Tussauds Delhi as he is set to join other sports icons there. Kohli's wax figure will join other sports heroes including Sachin Tendulkar, Kapil Dev, Cristiano Ronaldo and Lionel Messi. Kohli's journey has been phenomenal, from his first-class debut in 2006 to captaining the Indian cricket team, winning the Under-19 World Cup on the route. With his unbeatable performances, Kohli has won several accolades including the Arjuna award, ICC World Cricketer of the year and three BCCI international cricketer of the year awards. He has also been honoured with the Padma Shri by the Government of India. 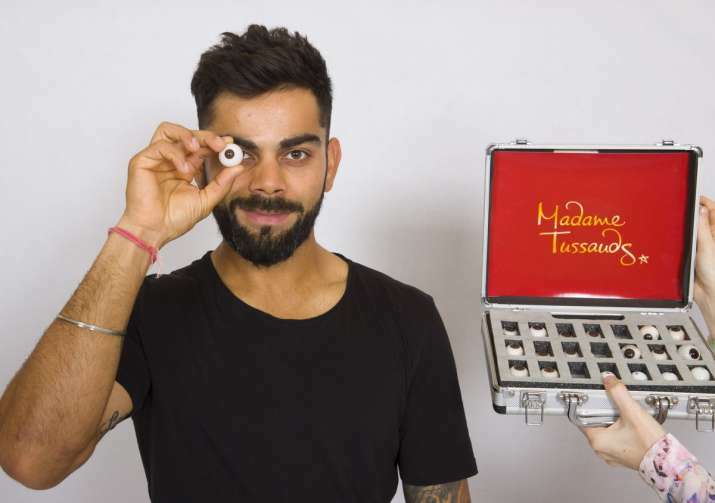 Kohli met with Madame Tussauds' team for the sitting process, where a group of talented world-renowned artists flown in from London took over 200 measurements to create an authentic figure. Talking about his inclusion in Madame Tussauds Delhi, an excited Kohli said "It's a great honour to be chosen as one of the figures at Madame Tussauds. All thanks to the Madame Tussauds team who were extremely patient during the sitting sessions and for giving me a lifetime memory". Anshul Jain, General Manager and Director, Merlin Entertainments India Pvt. Ltd., said, "We are thrilled to announce the Indian cricket team captain Virat Kohli's figure as the 23rd attraction. He holds the heart and respect of every Indian and a perfect choice to have him as our next Figure."